It's Christmas again and that means JUNIOR has returned. 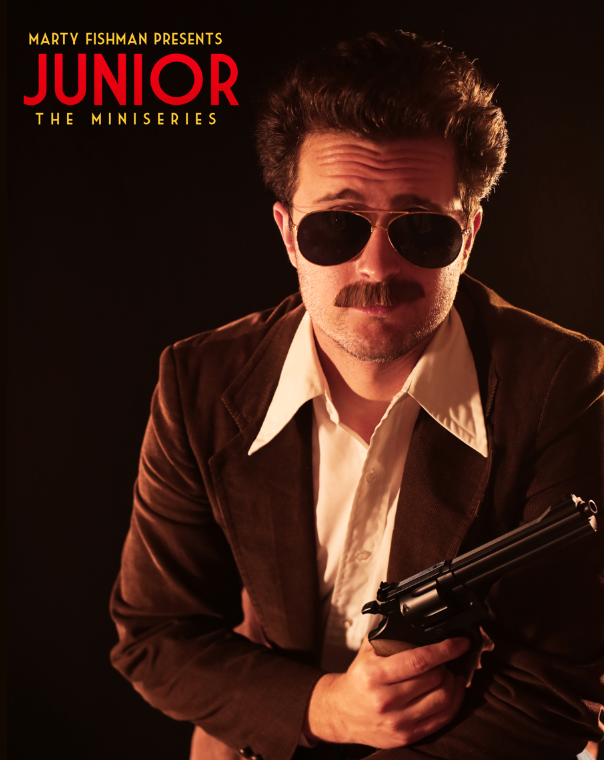 During the month of December, the Fishman crew set out on the ambitious project of producing JUNIOR: THE MINISERIES. Junior deals with becoming a father, preserving the Hemet he loves, and people chewing with their mouths open. BY THE NUMBERS: 20 days of Production, 97 scenes, 32 Actors, 72 minutes long, 6 Episodes, 45 Classic Rock Tunes, 3 Fake Moustaches, 44 Budweisers, 1 sequence shot in Temecula. The Series will Premiere tonight at the Historic Hemet Theatre. 8PM.